Create a stunning look in any room of your home with Firestorm Hickory Copper Mountain engineered wood flooring by Hill Country Innovations. With a warm-toned, medium brown color, it instantly makes your space feel more inviting. The hand-scraped, distressed detailing on the wood also adds a rustic look that appeals to homeowners with country, cottage or farmhouse style. 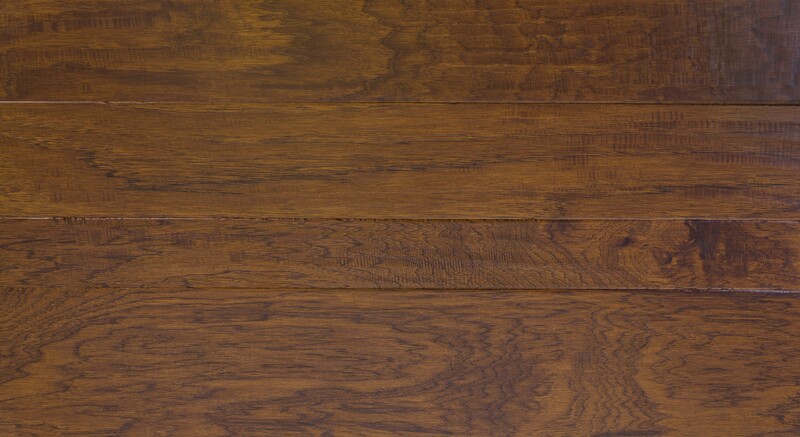 When you choose Firestorm Hickory Copper Mountain engineered wood flooring from iDeal Floors, you'll get a product that's been designed to last, even when used in the busiest households. In addition to the 50-year warranty, this wood features a urethane with aluminum oxide finish that helps to protect your flooring and make it easier to maintain. Establish a distinctive look with the three panel widths included when you order this wood (3", 5" and 6 ½"). If you're looking for other inspired flooring ideas, browse our full selection featuring hundreds of high-quality flooring products at iDeal Floors.